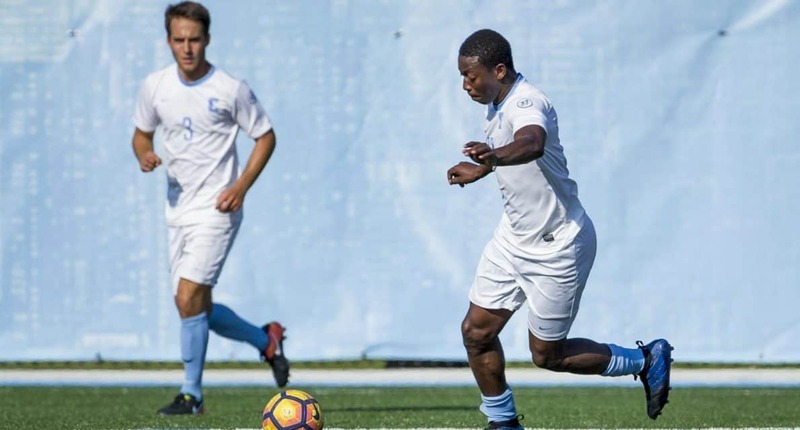 WEST LONG BRANCH, N.J. – Columbia University senior Dylan Mott scored in the 11th minute in a 1-0 victory over the Monmouth University men Friday night. The Lions improved to 3-1-1 on the season while Monmouth fell to 1-4-1. In the first half, Mott gathered a pass in the box from Francisco Agrest, who turned and shot on the left side for the goal. It was Mott’s first goal of the season. Later in the half, Kynan Rocks, who netted three goals in the 3-0 win over Binghamton University Monday, had a shot saved in the 22nd minute. Avi Eller had an attempt saved and another hit the post also in the first half. Dylan Castanheira saved the lone Monmouth shot on goal in the opening half. The Columbia defense was strong in the second half, allowing two shots with neither attempt coming on goal. The Hawks held strong in their final third with an Eller attempt going wide and two attempts by Agrest being saved and blocked in the half. Castanheira saved the lone attempt on goal, recording his second shutout win of the season and 22nd of his career, moving into second place on the all-time Columbia list. Columbia has a week off until a showdown with No. 12 Fordham next Friday.